Legends of Troy 2 is a new online slot game, produced by High 5 Games, that is an updated version of previous hit game Legends of Troy. It shares many of the same features as the original game and is based on the same Ancient Greek legendary theme. All the characters and images used in the game are loosely based on the epic tale of Greece’s war against Troy, so swords, sandals and helmets abound! 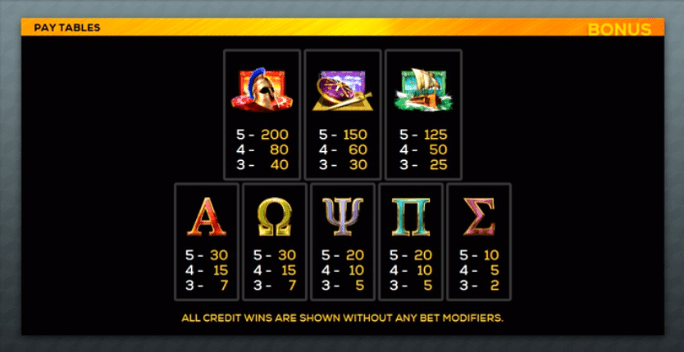 Legends of Troy 2 has 50 paylines, and makes use of six reels and four rows. The graphics make use of a number of symbols based on the Ancient Greek world, such as Greek letters, and images of characters that look to be based on the famous warrior Achilles, and Helen of Troy, the woman whose beauty helped to spark the Trojan War. The symbols to look out for are the scatter and the wild, which in this game are the Trojan Horse and the Bronze Shield. The shield can substitute for all other symbols apart from the Trojan Horse. If you land three or more Trojan Horses on the reels, you will win between seven and 15 free spins.The Scatter Bucks feature is another aspect of this online casino game that is well worth watching out for. The feature is activated by clicking the +Feature button, located below the reels, when all fifty paylines are in play. This will double your stake, so should be used with care. When Scatter Bucks is ongoing, each wild which spins in gives you the chance of a cash prize. The value of your price increases on each reel from one to six, with a maximum payout of 10,000 coins on offer. Check out this slot game and our uk slot promotions. High 5 Games has a catalogue of over 300 games available now, and is particularly known for two titles that took the world of slots online games by storm in 2011. These were Golden Goddess and Black Widow. The company was founded in 1995, and now has offices in over 50 countries across the world. High 5 has won numerous awards throughout its 23-year history, most notably the Electronic Gaming Review’s 2016 award for North America’s Best New Game. In 2012, High 5 was named as the fastest growing virtual casino on social media giant Facebook. In their games you can find innovative features like Split Symbols, Super Stacks and Tumbling Reels. Legends of Troy 2 is a fun update of a solidly entertaining game from High 5 Games. Its high-quality graphics reflect its Ancient Greek theme, and there are some genuinely exciting bonus features which can be triggered. Anyone who enjoys fruit machines should find plenty to enjoy in this game. 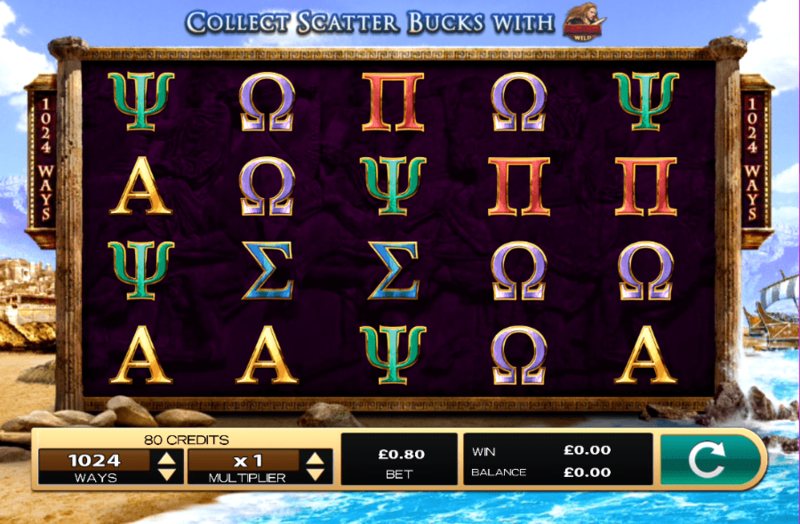 With the chance to win big with the Scatter Bucks features, it is well worth keeping an eye out for this game in your favourite online UK casino. Now, continue with your journey and play slot games online!